Develop the necessary skills to install clay paving safely and correctly to specifications, tolerances and guidelines, as advised by the industry and manufacturers. Be able to install sub-bases and edge restraints correctly to industry standards and manufacturers guidelines. Be able to lay clay pavers safely and correctly to industry standards and manufacturers guidelines. Be able to mark and cut clay pavers safely and correctly to industry standards. Be able to apply jointing methods (flexible and rigid) safely and correctly to industry standards and manufacturers guidelines. Please click here for our Cancellation Policy and full terms and conditions of sale. Joining instructions will be sent to you in advance of the training. You should wear clothes suitable for building work and protective footwear. Gloves and eye protection will be provided free of charge, on the day and as per the terms and conditions, all PPE must be worn during the practical elements of the course. The courses give a different perspective and complement full time training and apprenticeships. The training is a great way to bond with and support staff. Talasey Training Academy offers a way for landscape business owners to upskill their workforce without having to spend their own time training them. Get your hands dirty and gain increased knowledge and confidence in product installations to ensure your designs are translated perfectly in reality, for the delight of your clients. Merchants and staff can come out from behind the counter and experience first hand how the products they sell are installed. Merchants and staff can gain a deeper understanding of the issues their customers face onsite, enabling better customer service and ability to support whilst maximising full project sales. With a passion for delivering excellent customer service and desire to continually support and upskill the landscaping industry, the Talasey Group is proud to introduce the Talasey Training Academy. 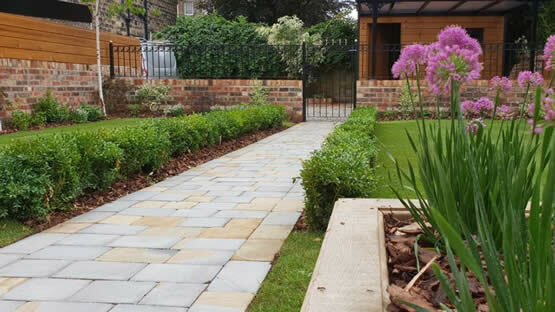 The Academy offers a range of thorough, informative and interactive courses that cover the installation of and how to get the most out of landscaping products in domestic applications through a blend of knowledge based and hands-on learning.